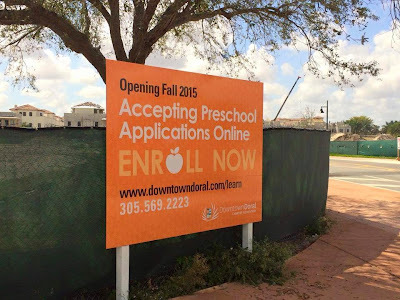 As construction progresses, Downtown Doral has officially become a reality with more announcements being made. This is definitely one of the major "talks of the town" when it comes to Doral real estate. With townhouse communities completed and condominiums, apartments and commercial space in the works, it is always good to present an update on the process of Downtown Doral. The only place to start is by the most recent announcement in The Real Deal a couple of weeks ago stating that 5252 Paseo is officially sold out with most of the 203 individual properties being “sold to foreign investors in Latin America.” It is anticipated that this condominium will be open by the end of the year. According to the developers, unit prices fell between the upper-$200s and upper-$900s. For those who were considering 5252 Paseo, don't worry. 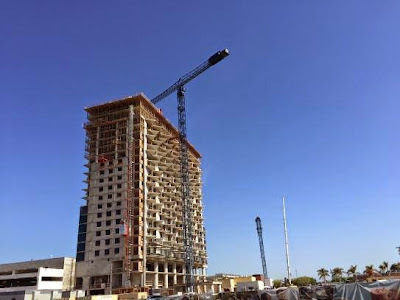 Its sister condominium is 5300 Paseo, a 23-story, 219-unit condominium is about underway. 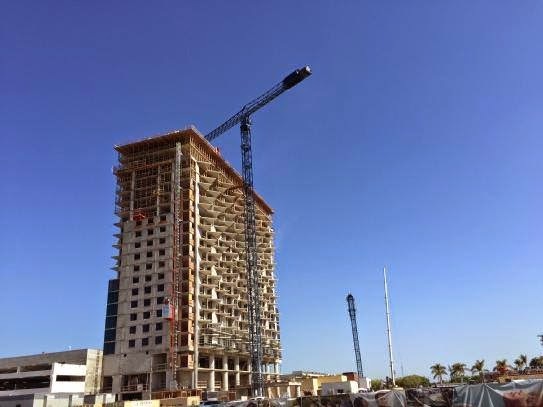 In addition to successful sales with the condominium, it was announced in the South Florida Business Journal that Codina Partners had secured a $46+million dollar construction loan for the building being designed by Sieger Suarez and Adriana Hoyos. For potential buyers, 5300 Paseo preconstruction list prices start in the mid to upper-$200s and climb to the mid-$800s for units ranging from 1,100+ square feet to over 1,900 square feet. The condominium offers one, two and three-bedroom units along with amenities including a pool, children’s play area, and a fitness center with massage rooms. Construction for the Townhomes at Downtown Doral is complete with a handful of townhouses listed for sale in the $800s. 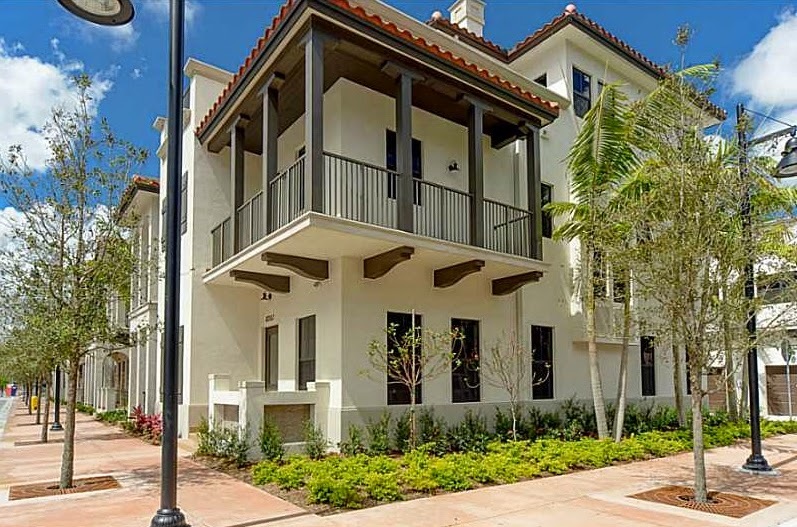 These are some of the most luxurious townhomes in all of Miami-Dade County – think elaborate rooftop patios and terraces on top of each townhouse and high-end fixtures, finishes and appliances. Downtown Doral is located in the heart of Doral as a sort of city within a city. Tagging itself as a “Live-Work-Play” master-planned community, the entire city appears to be culminating in Downtown Doral to ultimately “include eight to nine mid-rise condo towers, more than 1 million square feet of office space, a K-5 charter school, and 70 retail stores and restaurants” stated in The Real Deal. The official Doral City Hall is located in this new part of Doral along with retail, business, and restaurant space. The first phase of the Shops at Downtown Doral is expected to open late this year. Downtown Doral is underway to become an amazing community within the city of Doral. Watching the community progress is an awesome experience. The goal is to make Downtown Doral a destination for those living and visiting Miami-Dade. It looks like it is well on its way to meeting that goal.